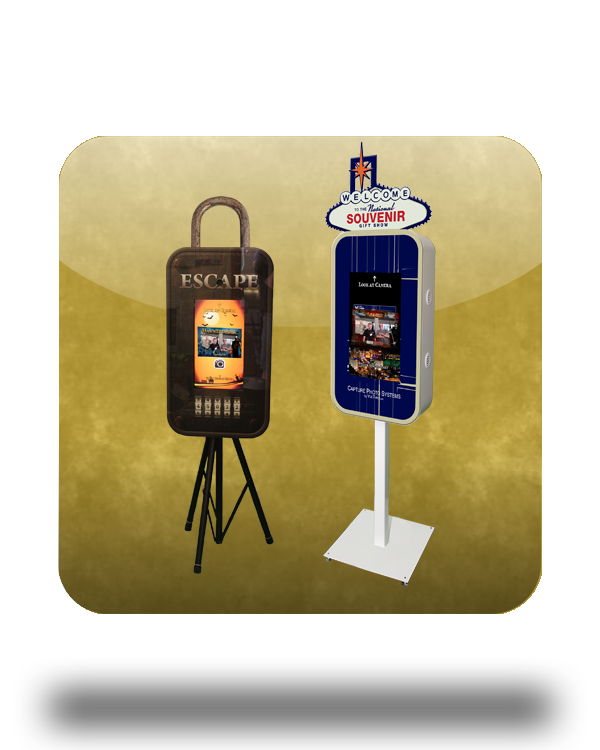 SocialVue Stationary Social Media Photo Booth System. Custom Changeable Branded Acrylic Front Face for Capturing Photos. * Includes Windows 10 Touch Screen Laptop and a Second 22" Touch Preview Monitor. * Hi Def 1080 webcam. * Live2Social Software for Standard, Green Screen, and Standard Photos. Share via Email, Facebook, Twitter, SMS and Print. * Built in Surveys and Data Collection. Photoshop or Illustrator Artwork File needed to create custom Acrylic Face. * Custom Branded Printed Acrylic Frame. * Professional DNP DS40 Printer with Custom Black Road Case.